Water (Aqua), Cyclopentasiloxane, Bis-PEG/PPG-14/14 Dimethicone, Dimethicone Crosspolymer, Corn Starch Modified, Butylene Glycol, Chitosan , Ascorbic Acid, Polyglyceryl-3 Polydimethylsiloxyethyl Dimethicone, Triethoxysilylethyl Polydimethylsiloxyethyl Hexyl Dimethicone, Farnesyl Acetate, Panthenyl Triacetate, Argania Spinosa Kernel Extract, Serenoa Serrulata Fruit Extract, Sesamum Indicum (Sesame) Seed Extract, Punica Granatum Seed Oil, Sodium PCA, Betaine, Sorbitol, Glycine, Alanine, Proline, Serine, Threonine, Arginine, Lysine, Glutamic Acid, Capryloyl Glycine, Sarcosine, Cinnamomum Zeylanicum Bark Extract, Aluminum Starch Octenylsuccinate, Acrylates Copolymer, Magnesium Carbonate, Melaleuca Alternifolia (Tea Tree) Leaf Oil, Tocopheryl Acetate, Lauryl Methacrylate/Glycol Dimethacrylate Crosspolymer, Dicaprylyl Ether, Niacinamide, Yeast Extract (Faex), Aesculus Hippocastanum (Horse Chestnut) Seed Extract, Titanium Dioxide, Algae Extract, Ammonium Glycyrrhizate, Panthenol, Zinc Gluconate, Caffeine, Xanthan Gum, Acrylates Crosspolymer, Polyglyceryl-2 Dipolyhydroxystearate, Biotin, Salix Alba (Willow) Bark Extract, Aminomethyl Propanol, Disodium EDTA, Sodium Chloride, Propyl Gallate, Phenoxyethanol, Chlorphenesin. How similar is Neha's skin with yours? Take the Skin Assessment to find out how similar you are and find your SkinTwins. How similar is Drizz's skin with yours? Take the Skin Assessment to find out how similar you are and find your SkinTwins. 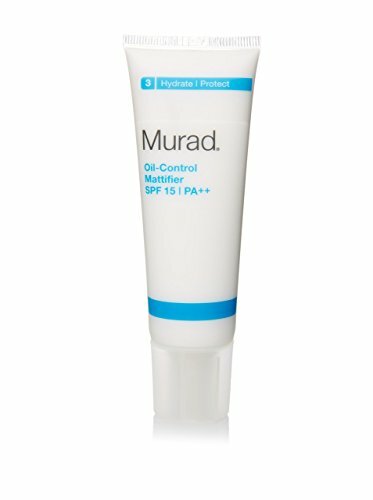 Looking at my products list, you can see i use a lot of Murad products, I have rosacea and very sensitive skin so I always had problems finding products that didn't irritate. I'm no beauty expert, but I have read up a lot on ingredients in skin care and what works best, I'm kind of a skin care junkie lol, Honestly they are the best I've ever tried, since I started the murad regimen, my skin is more supple, no more dryness, fine lines have disappeared, and skin is radiant, overall the products are pricey but if you're looking for products that actually do what they say, Murad is where it's at!